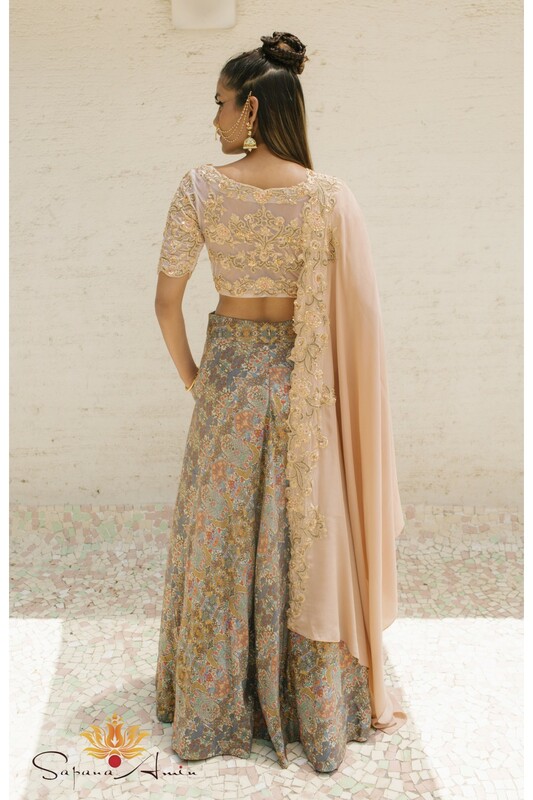 Blush pink net blouse with thread work, sequins and bead embroidery paired with a peacock print tussar silk skirt with pockets, and a blush pink silk crepe dupatta with scallop embroidery. Shipping takes up to 6 weeks to deliver item to the country of destination. Buyer is responsible for any tax or duty required to ship to their country..